I am not a fan of the slightly rough edges that the skin creates. Greatly detracts from the feel of the phone in my hand. However, I love it too much to remove it. Placing the skin “frame” on the front of the phone was a real pain in the rear. Extremely difficult to place where you want and keep it straight. Make sure you have time and are feeling generally Zen. WARNING – When placing the skin “frame” on the front of the phone, make sure you know where the proximity sensor is on your phone and don’t let any of the skin, even a tiny edge, cover it. Otherwise your phone screen will go dark anytime you make a voice call, making it impossible to press additional numbers or even hang up at the end of a call (yes, I speak from personal experience). …you see Kog’Maw while browsing through a Star Wars sticker book with your five-year-old. And then you see this picture and think OMG, it really is him!! Just had a super fun match as Cassiopeia. I’ve rolled her a few times in ARAM of late and it is so, so, so much fun. Went 22/13/33. It would have been a rockin’ awesome out-of-this-world match for me had it been more like 22/6/33 or even 22/8/33. Not dying is almost as big a goal for me as kills. As long as I am out there doing damage, then I’m ok not getting fed. But I can’t complain…I rarely get over 20 kills in ARAM, so it was a real treat. 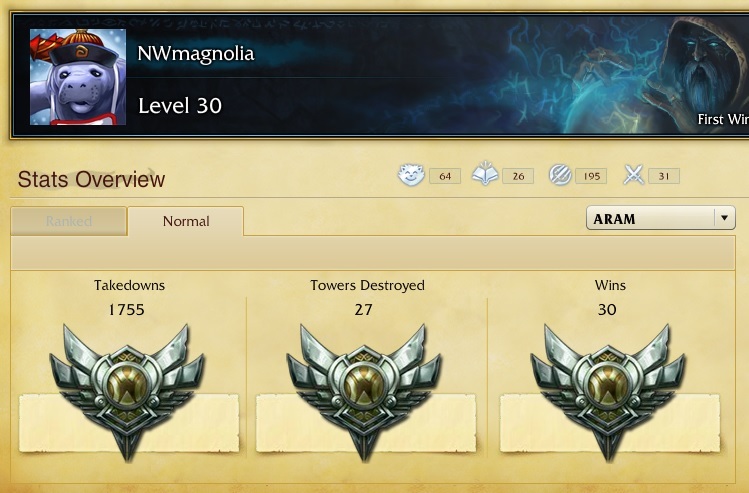 I’ve also been enjoying my Silver badges in ARAM. I realize that for all you Gold and Platinum and diamond-encrusted, otherwise-adorned badge owners, it may seem small, but I am quite pleased. 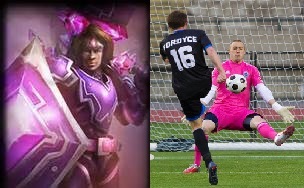 …you can’t stop thinking about Taric’s Armor of the Fifth Age skin while watching the Vancouver Whitecaps goalie play against the Sounders. Great match, Sounders won, and I love the pink, but couldn’t get the image out of my head the whole night! If you haven’t noticed, I went on a League of Legends online shopping trip recently. As noted in the previous post, I am waiting for my smartphone Ashe skin to arrive. The other bit of League paraphernalia I purchased was a Razer Sphex “gaming grade desktop skin.” Ever since taking up residence in my home office, I’ve struggled with a super crappy mousing experience regardless of whether I used an optical or a laser mouse (and I’ve got plenty and tried them all!). Once I realized that the primary problem was the desk surface itself, I decided that a mousing pad or surface was in order. This particular Sphex features Riot artwork with Ryze and Katarina on a rocky canyon outcropping. The mousing surface is super thin and unlike a typical mouse pad, it adheres to the desk surface (aka you have to peel off a protective layer and then stick it where you want it). So far it is working great, definitely looks great and even better, I am not cursing at my mouse when I game. Just wanted to pass along that skinit has some great League of Legends skins for smartphones as well as for other devices such as desktop PCs, laptops and tablets. The champs they have include Jax, Miss Fortune, Teemo, Ashe, Morgana, Graves, Vi and Riven. You can view the artwork here. I am waiting for my Ashe skin to arrive for my HTC 8X smartphone. Totally psyched! Have never purchased one of their device skins before so I can’t attest to their quality yet, but they have custom skins for specific device models so that they fit (in theory) the device perfectly. Will update later once the Ashe skin arrives to let you know how I like it and to share photos. 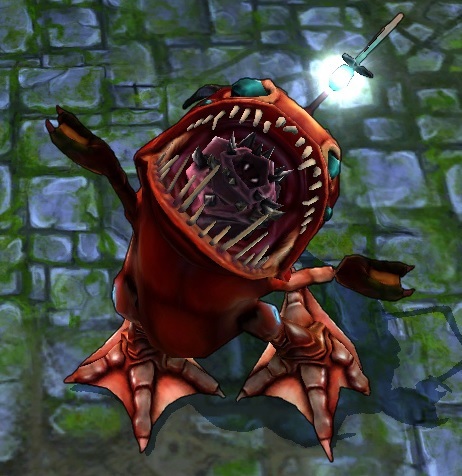 Excellent “history of League minions” link posted by twohp. Miniminion, miniminion, miniminiminiminiminiminion! Long Friday afternoon? Want to just pass the time by reading about League of Legends, while still sounding productive? Check out this absolutely amazing (and hilarious) article on the history of minions. You’ll laugh, you’ll learn and you’ll be able to tell those around you that you spent your afternoon brushing up on some essential history. Just maybe don’t turn up the volume on the videos too loudly. Might blow your cover. 10. There is minimal to no sniping as the fighting is nonstop. You snipe, you die. 9. Matches are fast-paced, frenetic, and typically last a pleasant 20-30 minutes. 8. Less common to be completely annihilated by a team of folks who know the meta game by heart and how to maximize their fave champs to win it. Random rocks. 7. Because many of the players may be rusty or new to the random champion they rolled, folks are generally more kind-hearted. Compassion is a beautiful thing. 6. Support champs are a blast to play in ARAM as your skills are highly valuable and your teammates are almost always close at hand for your buffs and/or healing. 5. Champions that aren’t that remarkable in Classic or even Dominion can suddenly shine. Great examples are Xerath, Pantheon, and Heimerdinger. 4. The cute little bunnies that tell you if someone is hiding in the bush. Just not sure they are actually bunnies…. 3. You are forced, over time, to play all of your champions. I’m actually getting pretty good at many that were dusty from lack of use. 2. Great opportunity to quickly learn a champion’s skill set as the fighting is nonstop. Spam, spam, spam. Well there you have. Those are my top 10 reasons for loving ARAM. What are yours?